Over twenty films premiered and screened before audiences on October 16, 2013 at the Tower Theater's for the Demon Chaser Film Challenge 2013. The event was created and produced by Brian Higgins. GeekTyrant happened across a locally produced Utah film, 8/25/78 made for the Demon Chaser Film Challenge 2012, written and directed by Brandon Young and starring Antonio Lexerot, Ashley Campbell, and Michael Solarez. A new documentary pitch has been released exploring the hardships of speed skater Kelly Gunther and her attempts to tell her story. The pitch and the subsequent full length feature documentary of Ready to Believe: The Kelly Gunther Story is by Utah filmmaker Joylynne Chrislan. Last night the Demon Chaser Film Challenge officially kicked off at Blue Star Coffee in Salt Lake City. A handful of teams were present to discuss their films, gain additional cast/crew as needed, and worked out production issues for their upcoming shoots. 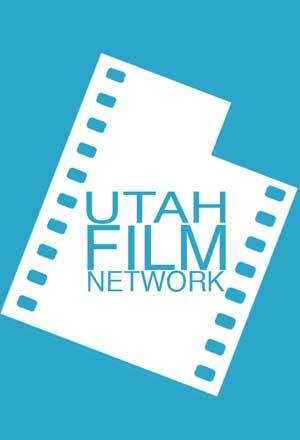 Over the past couple of days, three new Utah films have been added to the Utah Film Network including films from New Ogden Cinema, White Crow Films, and Red Giant Productions. The first annual Salt Lake Comic Con took place during the first weekend of September and broke numerous records including being the largest Utah convention ever. As part of the Con was the SLC Comic Con Film Festival. Read on to see who won and congrats to all films and filmmakers! Read the full story at Film Buzz. The 13th LDS Film Festival is now scheduled to take place February 5-8, 2014 at the Scera Center in Orem, Utah. Among the news with this announcement comes a call for entries, the inclusion of a new category, and a new submission process. Writer/Director Kevin Lacy's award winning science fiction film Numerica has been one of my favorite Utah produced short films for several years, exploring a 'what if' scenario and reflection of our society with a premise of population control. Filmed in Utah, the brainchild of filmmaker Warren Workman who wanted to promote the works of films shot throughout the state is getting rebranded and will now be known as Film Buzz. The Demon Chaser Film Challenge is an annual horror film festival entering its fourth year focused to bring fiendish filmmaking fun during the Halloween season. Crash Pad is a web series created by Cathy Tidwell and developed by Antonio Lexerot and Chris Henderson that follows a group of airline personnel and their personal drama into the communal "crash pad." Gavin's Underground of City Weekly recently interviewed Brandon Young to talk about the Utah Film Network, talking about the development of the site, the local film community, and what's to come in the future. Read the full interview at City Weekly.